Instead of doing a favourite outfits of 2014 (though I may still do one later…) I thought I’d pick out my favourite style pieces of the year. Typically my most worn and adored aka the ones you’re sick of seeing and the ones I’ll continue to wear for years (hopefully), so I hope you enjoy this post! 1 | The COS Coat – featured here, here and here | This has been my favourite purchase of Autumn and I wish they’d released it in a billion colours as I’d have bought them all! It’s the perfect length, material and just feels so nice on. 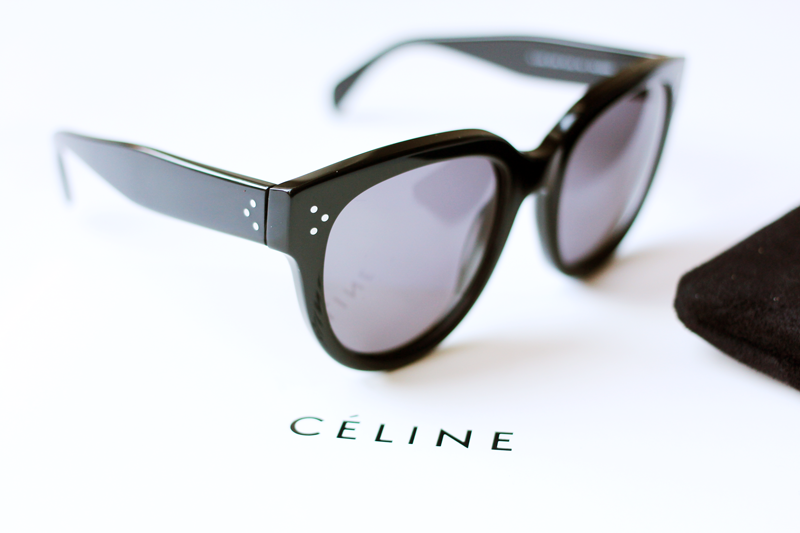 2 | The Celine Audrey Shades – featured (constantly) here | Yes, the shades I never seem to take off! Oversized, super dark lenses and so luxe. I really want the tortoiseshell ones! 3 | The H by Hudson Strap Boots – featured here and here | These have seen me right through AW as they’re just so darn comfy. I love the strap detailing, along with the half suede half leather look. Such a good staple yet different pair of boots! 4 | The ASOS Lilac Fur Coat – featured here | I really do adore this polar bear-esque coat. Along with my white one that my nana kindly gave me, I think this has been one of my most loved of AW as it’s so warm and really adds something to an outfit. 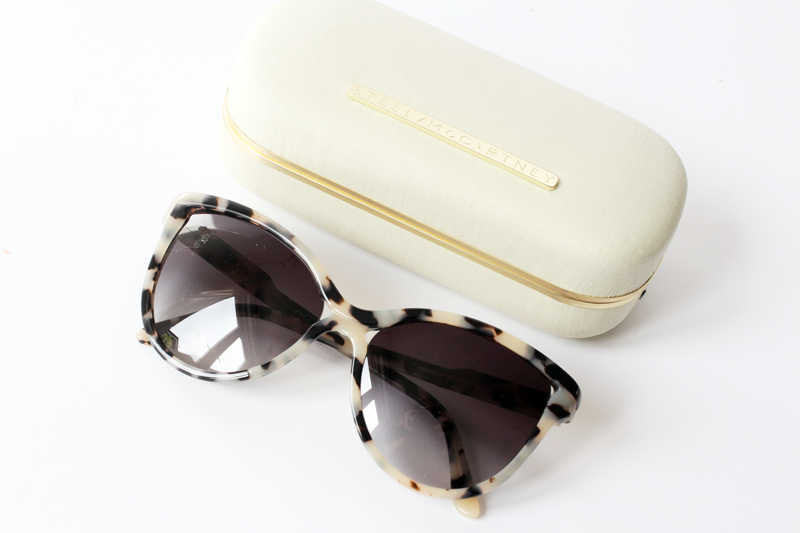 5 | The Stella McCartney Sunglasses – featured here and here | I love how they’re different from your standard tortoiseshell and seem a bit more unique. I think they look really chic on and the style of them suits my face shape well. 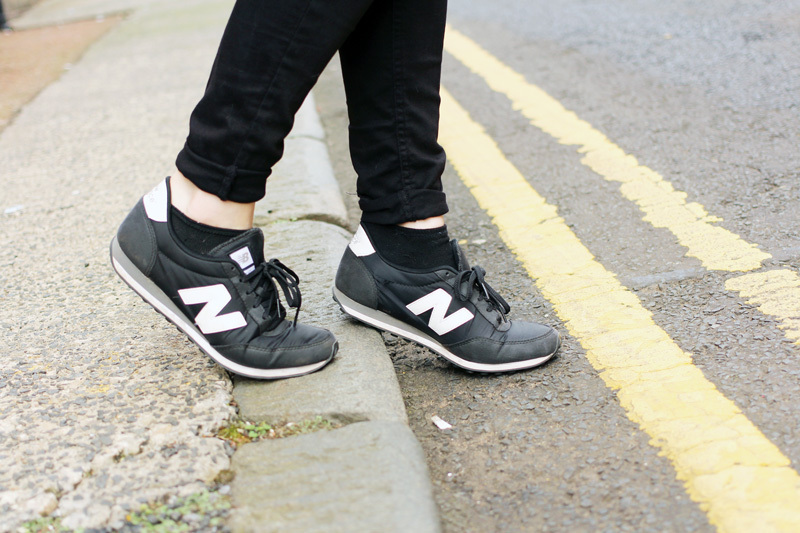 6 | The New Balance Black 410’s – featured here and here | The trainers that made me glad trainers were stylish again. I won’t go on about them too much, but they’re honestly so comfy and I could wear them for hours and hours. I’m officially a trainer convert now! 7 | The Striped Jumper – featured here and here | I wear something striped at least 3 times a week, so it’s no surprise that I had to include one in here. 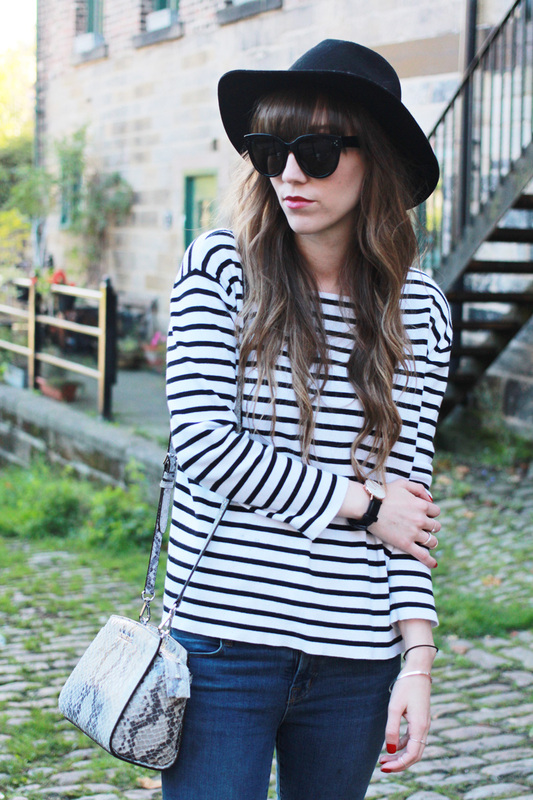 Stripes just go with everything and are the easiest (and laziest way) to add some detail! 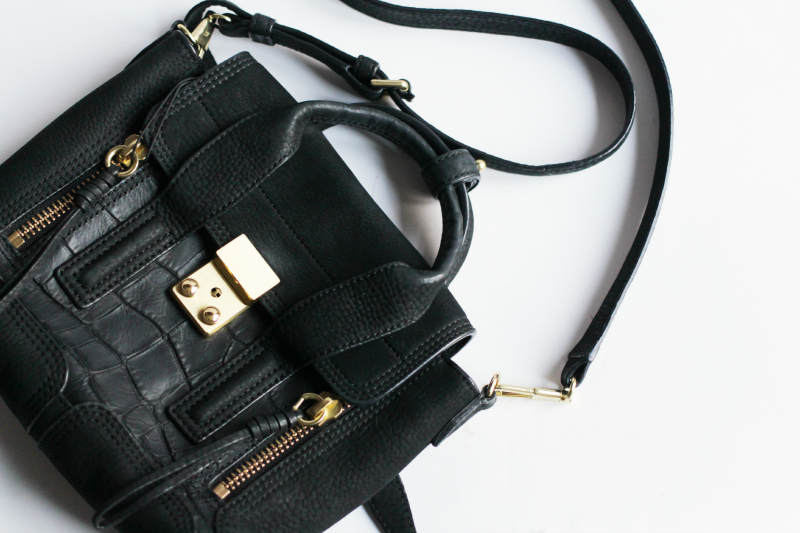 8 | The Phillip Lim Mini Pashli Bag – featured here and here | A new purchase but a much loved one. It’s such a cute bag and the leather is butter soft, which I adore. I love the size and the style and am so glad I eventually got a Pashli in my life! 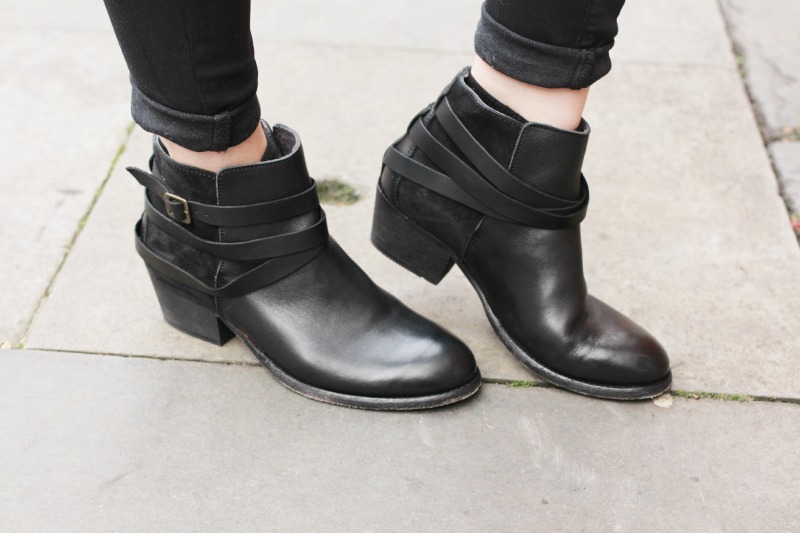 9 | The Isabel Marant Dicker Boots – featured here and here | What a bloody surprise, eh? Even though I bought them back in 2012 (2013? 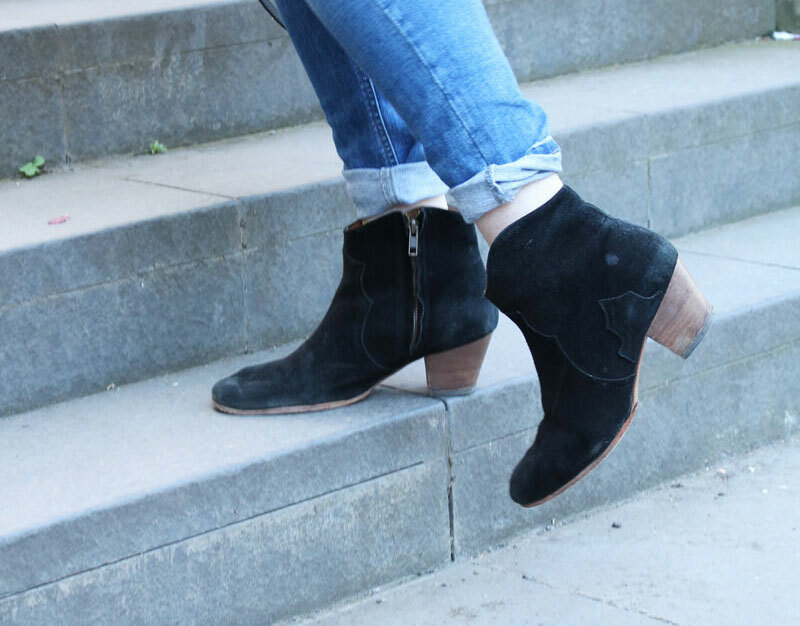 ), I’ve worn them constantly and they’re genuinely my most loved pair of boots. They could probably do with a brush, but I’m contemplating buying a backup pair incase I wear them out! 10 | The Michael Kors Mini Selma in Snake – featured here and here | Another perfect sized bag which I’m sure you’re all sick of! I love the Selma shape and this size is ideal for all your daily items, plus the snake is such a nice print. 11 | The Staple Leather Jacket – featured here | I’ve only featured this once on the blog due to buying it in November when it was starting to get cold, but I can tell it’s going to be featured a lot in Spring! 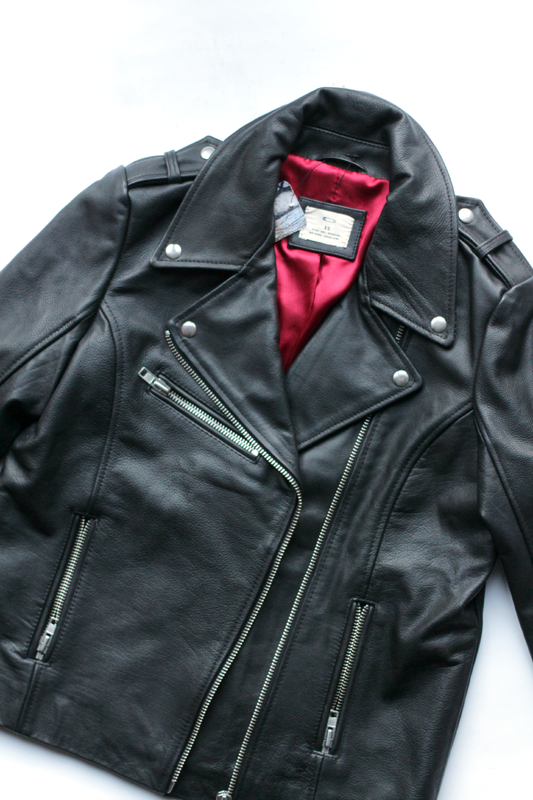 It’s the perfect leather jacket and I’m so glad I found it! 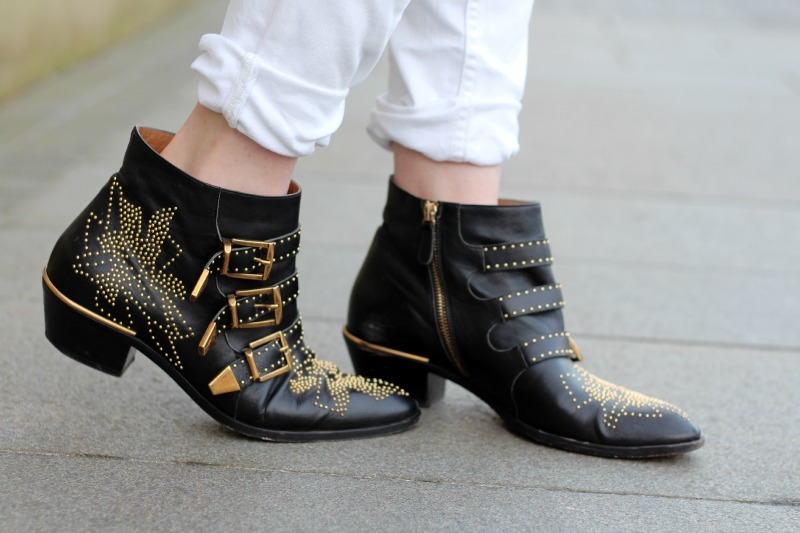 12 | The Chloe Susanna Studded Boots – featured here and here | I hesitated for so long before buying these and I’m so happy I did! Every time I see them on another style blog it makes me weirdly glad I own them, as I fall in love with them a little bit more every time they pop up. Is that weird? It’s shoe love, you guys. 13 | The Paige Coated Jeans – featured (all the damn time) here and here | My most worn pair of jeans since I bought them last winter. They fit like a glove, the coating looks like leather and they’re just so nice to wear! My no.1 choice and I’ll definitely repurchase once these get worn out. What items have you been wearing or loving in 2014?